It’s easy to host CSS stylesheets on Dropbox where you can store a CSS file for a custom Feedwind widget without having to store a CSS file on your own server. This is particularly useful where you are using an online platform such as Wix or Weebly to build your site. Platforms like these do not have the facility for storing CSS files, so Dropbox is a great solution. First you need to create your custom CSS file. Depending on what sort of widget you a building (RSS widget, Facebook page widget or Google Calendar widget). You can use any code editor or plain text editor to create your CSS as explained in the relevant support documents for CSS. Once you have created your stylesheet and saved it as a .css file, you can then upload it to Dropbox for later use. On an Apple Mac, Open your dropbox, and locate your .css file. 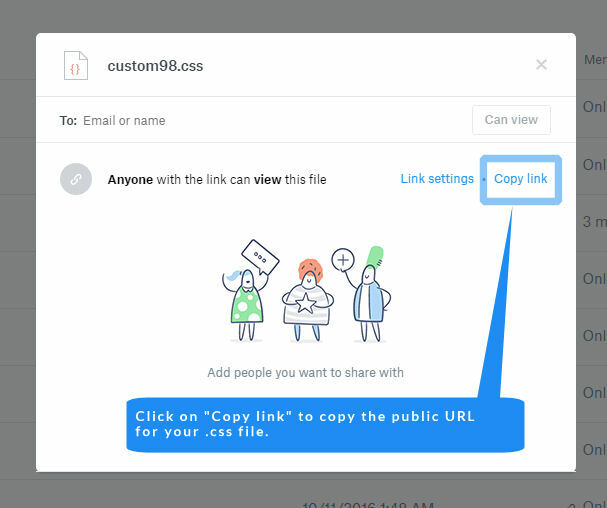 Right-click on the file and select “Copy Public Link.” This will copy the publicly available URL for your .css file to your clipboard. To use this URL in FeedWind you will need to make a small adjustment to the URL by changing the www. In the URL to dl. When you have your new URL e.g. Previous ? Check out the latest news from FeedWind!